Discover how archaeologists study objects to find out about the past. Meet some archaeologists and see what they have discovered on a dig. Take a 360° tour of Stonehenge and find out more about the stones. Explore ancient objects discovered at Stonehenge. Why do archaeologists dig through rubbish? Try a quiz and find out more about what archaeologists do. 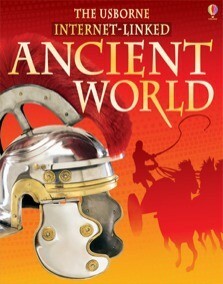 A fascinating introduction to over 10,000 years of history, from the first farmers to the fall of the Roman Empire. From enormous empires to humble homes, the rise and fall of great civilizations across the globe is brought to life with lavish illustrations and essential information. Links to exciting websites bring the history alive with video clips, games, sounds and interactivity. Also includes a chronology, word list and time chart. "This book makes history interesting, accessible and fun - it is an excellent book for introducing children to ancient history." An extraordinarily captivating history book for children.